We have found that producers we work with are at varying points on the journey, so laying out our approach in a 12-step plan is helpful to communicating what we are trying to do. Here is a brief description of the steps. A longer version is available on the Amazing Grazing website. Decide you are ready to become a critical thinker and use ecological principles. Most of us have grown up with a production system that uses a lot of hay and other purchased feeds, is based on continuous or very lax rotational grazing, and that has a focus on a single part of the system — the animal. When in a drought, we hold onto the animals, buy more hay, and overgraze pastures. In truth, if you spend a lot of time feeding hay in winter, making hay in summer, and worrying about running out of grass during droughts, there is a better way. Once you see your farm as one system, you have a chance to observe and then guide the system in a direction that benefits your production and personal goals. Your cattle are part of a complex and fascinating ecosystem. Surround yourself with like-minded graziers. A support network is needed. Your goals may not be that of your traditional friends, so the best way to succeed is to make a new peer group that has similar goals to your own. Finding them is easy; just attend an adaptive grazing educational program. Experienced adaptive graziers are very likely to attend these events, and you will find them willing to share their ideas and practices. Do a preliminary analysis of your system resources. Start with aerial maps that you can obtain on the internet or from your Farm Service Agency (FSA) office. Evaluate the acreage and condition in each pasture. The best way to evaluate your forage stand and pasture condition is to do a “point step” analysis, which involves randomly walking the pasture, periodically writing down the species of plants you are stepping on (or bare ground), and writing down a preliminary condition score from 1 to 5 (1 = bare with almost no productive forage, 5 = as good as it gets with a diversity of strong and desirable forages and no bare ground). Do this on at least 100 points and get the average for the pasture. Take soil samples from each pasture to determine the pH and soil nutrient levels. This will help you identify where your weak and strong pastures are and forge a course of action. Upgrade your electric fences and electric fencing skills. This is a critical step because in almost all cases adaptive grazing requires temporary electric fencing. You need to understand the theory of how electric fence works, and how to use a fault finder to find shorts and keep power on the fence high. Bluntly, if you don’t maintain power on electric fence, animals will not respect temporary fence and you will likely abandon the journey. Train your animals to respect a single strand of wire. Your animals must have a high level of respect for temporary electric fence. Electric fence is only a mental barrier, and that is played out to the extreme with a single strand of polywire. However, once animals are well trained to it, it opens up a whole new world. Those benefits include improved forage management, easier movement and gathering of animals, ability to flexibly exclude sensitive areas within a pasture, and to respond to perimeter fence damage resulting from natural disasters. 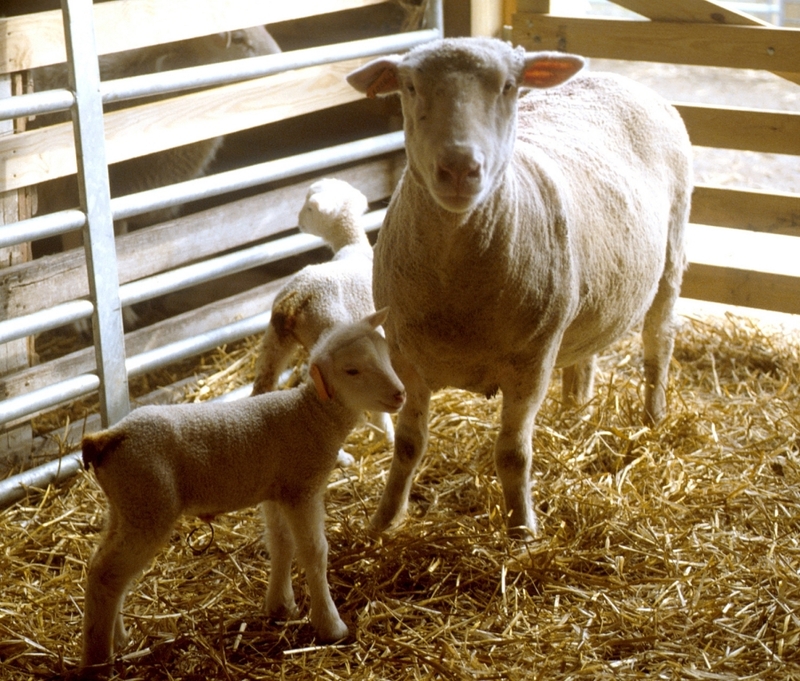 To train the animals, set up a single strand of polywire on tread-in posts about 18 inches inside of a pen or a small pasture. It is probably better to use a small pasture because it is more the setting where the animals will first encounter polywire cross fences. The key to the training period is that there is plenty of power on the wire; we recommend a minimum of 5 kilovolts. It will take a few weeks for this preliminary training period, and then the training goes to the next level with a single strand cross fence. Start cutting individual pastures in half with polywire. As a first step, divide each permanent pasture in half, with cattle entering the half with the water source whenever you rotate pastures. This change alone will double your stocking density and will start leading to improvements in your system. We recommend using some rigid fiberglass or plastic posts on the ends (and potentially within the line) in these initial temporary divisions because animals, especially wildlife, will still be in the training process. Now you will start to develop your skills at looking at a grazed sward and determining when to take down the division fence. 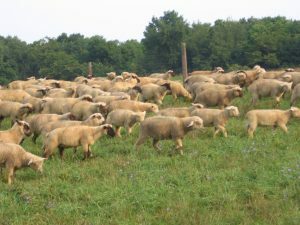 Stockpile forage in autumn and strip-graze during the winter. In early summer, determine one or more pastures to stockpile for late fall or winter grazing. This ideally will be tall fescue, but could be any other forage. When you start grazing, set up an initial grazing strip that includes the water source and an expected two to three days of grass. Once the forage has been consumed, you will need to move the fence to allocate enough grass to feed your cattle for the next one- to three-day grazing period. Moving cattle daily has many advantages but cannot be achieved in all situations. However, moving fence every three days is attainable and still gives great forage utilization. Start strip grazing with all pasture movements during the growing season. Once you are into spring, continue to use the strip grazing technique, flip-flopping two reels so that cows are always on a fresh strip, and keep another one- to three-day strip set up ahead of them. Having the next strip set up will help you save time and offer added security in case wildlife or cattle tear down the polywire. As long as you are not in an individual pasture more than 10 days, there is no need to set up a back fence to keep animals off the grazed areas. If you see animals grazing in the area they already grazed (back grazing), then you need to make your strips wider. You may also need to put up a back fence if your pastures are very large. Develop a comprehensive grazing plan acceptable to governmental agencies. As you start to optimize the use of your current infrastructure, you will see opportunities to improve by adding additional perimeter fencing, watering points, and permanent cross fencing. To guide these efforts, develop a comprehensive forage and grazing plan that includes existing infrastructure, determines an animal/forage balance, and will project needed infrastructure development to guide financial planning and application for agency cost-share funds. Implement additional upgrades to infrastructure. As highlighted in your comprehensive plan, start to improve your watering system, upgrade perimeter fencing, and add cross fencing. This infrastructure improvement usually needs to be prioritized and done in stages so that you make major improvements in system function with each project. It also allows you have time to continue your good management while completing the projects in a timely manner. Full implementation of the comprehensive plan will take many years or even decades, and the plan must be revisited and updated as you go through time. Continue to refine your skills; be persistent and tenacious. It takes five to 10 years to really see the benefits of adaptive grazing management. The road to Amazing Grazing is challenging because you are dealing with a very dynamic system that is upset by many environmental factors. With time, your system will become more resilient to drought and flood, as a result of improved soil health, but that happens gradually. When the first drought hits, realize that the most critical principle in adaptive grazing is to avoid overgrazing at all costs. When pastures are all down to the stop-grazing height, pull cattle into a sacrifice area and feed hay. Don’t get discouraged and abandon what you have started. Also, understand that it is not uncommon for temporary fence to be torn down when you are early in the game. Don’t get frustrated and quit . . . observe, learn, and adapt. Observe your system and continually improve your skills. One thing we love about adaptive grazing management is that it is a continual learning process over many years. Every mistake or environmental challenge is an opportunity to learn and improve your system. Continue to attend educational events and as you become more knowledgeable, share your experiences with other producers. Also share your grazing excitement with young people. Teaching adaptive grazing skills to the next generation ensures that it is not a new concept when they mature to become farm decision makers. We welcome you to join the many others on the journey to Amazing Grazing. Once on journey, stay on course by frequently reviewing this 12-step plan. Posted by Braden Campbell at 8:00am May 31, 2018 Posted in Forages and Pasture and tagged Forages and Pasture, Management. Bookmark the permalink. ← Does Crabgrass Really Hate You?